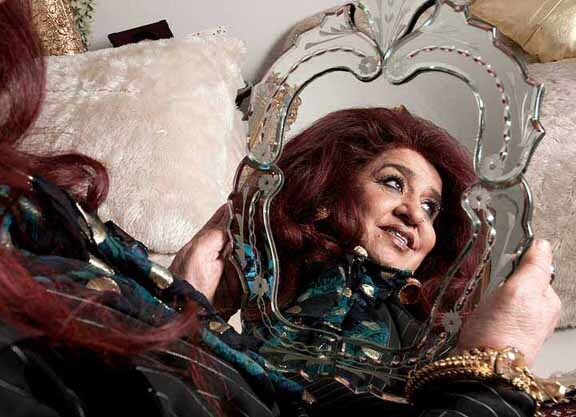 The CEO of Shahnaz Herbals Inc. herbal cosmetics Shahnaz Husain expressed her thought about the beauty and she writes that, "There is no doubt that looking good makes you feel good too… and feeling good is so important. Looking one’s best certainly imparts confidence, which is so necessary in today’s competitive world. Self-confidence, in its turn, brings respect and appreciation. In the career world too, there are so many jobs where the appearance counts, like front office jobs, careers in hotels and tourism, public relations, television, fashion and so on. Actually, in any job, looking your best helps self-esteem and self-belief. Taking care of your appearance also delays the visible signs of ageing. The woman who has been following a healthy diet and lifestyle, finds it easier to cope with changes, as she ages. It is not just beauty care, but includes regular exercise, nutritious diet, adequate sleep and relaxation. Regular exercise helps to delay aging changes and has a beneficial effect on both body and mind. It keeps the muscles and joints flexible and also helps to prevent weight gain. Along with exercise, adopt a healthy eating pattern, with an emphasis on fresh fruits, unrefined cereals, salads, sprouts, lightly cooked vegetables, yogurt and skimmed milk, clear soups, fresh fruit juices. Your diet should be low in fats, sugar and starch, but high in vitamins and minerals. This kind of diet will raise your level of fitness and also help your skin and hair. Many women let themselves go once they are married, or have become a mother. The result is spreading outlines, dull skin and hair and careless grooming. I think efficient time-management is the answer. No matter how demanding housework is, you have to set apart some time for yourself everyday. Actually, daily skin and hair care take only a few minutes. So does daily exercise. It is never too late to start a regular skin care routine, selecting products according to the skin-type. The skin-care routine should include cleansing, toning, moisturizing and nourishing. With age, the activity of the oil glands decreases and the skin becomes drier. Daily moisturizing and nourishing help to keep the skin soft, supple, moist and youthful. Pay special attention to the neck and the area around the eyes, which show age most of all. Nowadays specialized products are available for the care of particular areas, like the eyes. Take weekly facials at a good beauty salon. Professional massages, along with cleansing, toning and masks really help to rejuvenate the skin. The skin’s ability to retain moisture improves and so does the process of cell renewal. With the helps of scrubs and masks, as well as professional care, the outer-layer build-up can be removed, giving the process of cell renewal a boost. The skin also becomes clearer, finer and more translucent. Regular washing and proper hair care helps to a large extent. Check with a doctor if there is hair loss. Vitamin and mineral supplements may help. Along with this, one can have clinical treatments to check problems of hair loss. A change of hairstyle can also make you feel like a new person. In fact, with thinning hair, you can go in for a shorter haircut and style, which can give the hair a fuller look and make you look younger. We are living at an age, when one can experiment with new looks without raising too many eyebrows. In fact, you will probably get appreciation and compliments as a result of these changes. Your attitude also helps to feel good about yourself. Keep an open mind. Try out something new. You never know, it may suit you. Cultivate your interests and hobbies. Learn something new. They give another dimension to the personality and make you feel more active and youthful.